This unique "Concretosaurus" in Animal Kingdom can be found at the entrance to Dinoland, on the Asia side. 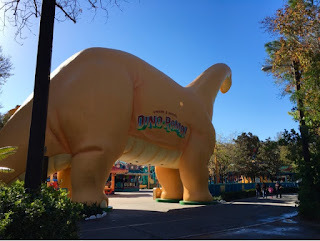 Many guests walk under this large, prehistoric creature everyday. I took this picture yesterday, while touring Animal Kingdom. Have they started on Avatar?